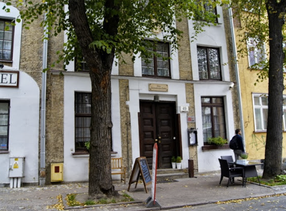 ​Gdansk in northern Poland, is a beautiful drawing location with a fascinating recent history. It is, effectively, a perfectly restored medieval town and is a famous centre for amber jewellery. You should seriously consider this destination if you have any interest in recent European history. constructed. 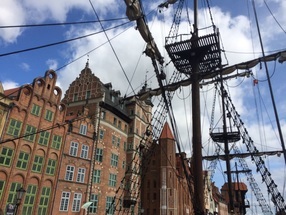 Gdansk was the home of the trade union Solidarity. Strikes in the 1980s paved the way for the abolition of communism, which eventually led to the demolishing of the Berlin Wall and the re-unification of Germany in 1989. We stay in the heart of the old town by the river. The central accommodation is in rooms for 2 - 4 people with en-suite bathrooms and breakfast is included. 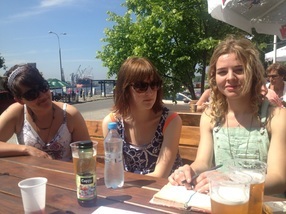 We visit Westerplatte, a forty minute boat ride down river to the coast, and draw in the old town and at the shipyard. We have a group tutorial every evening. Gdansk is a ​remarkable destination. Absolutely unique in its relevance to the recent history of Europe. ​We visit many of the historic locations of cultural relevance and contrast the beautiful architecture of the city with the brutal majesty of the shipyards.